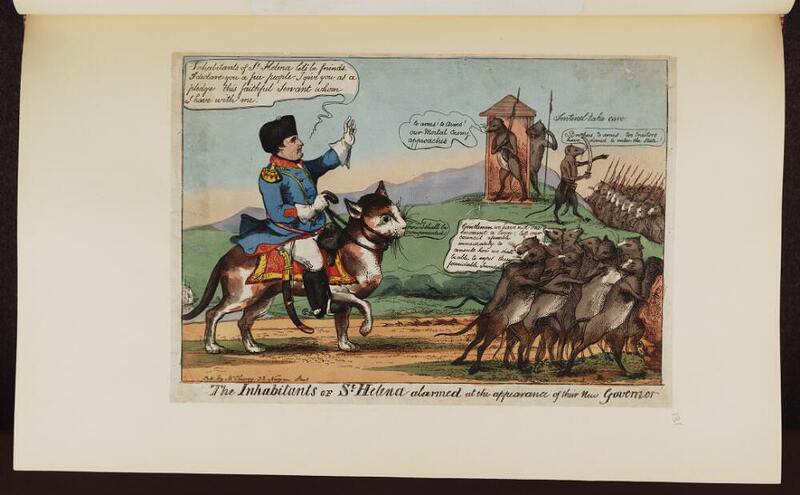 Napoleon Bonaparte’s defeat at the Battle of Waterloo and subsequent imprisonment on the remote South Atlantic island of St. Helena (from which he escapes in Napoleon in America) provided opportunity for the last great blast of Napoleon caricatures. 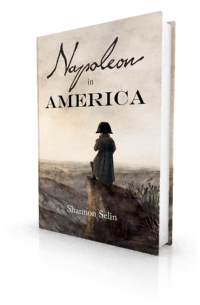 Most of them appeared in 1815, the year of Napoleon’s second and final abdication from the French throne. Relatively few appeared in the years up to his death in 1821. 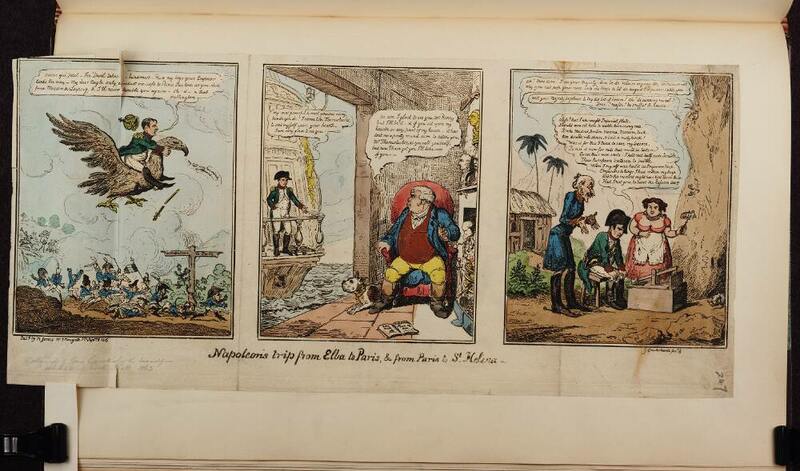 Further to my post about caricatures of Napoleon on Elba, here’s a look at some caricatures about Napoleon’s exile on St. Helena. 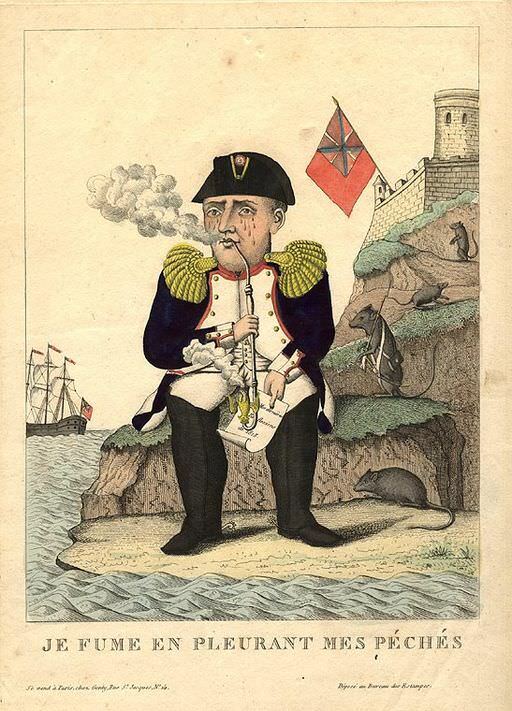 “I smoke and cry about my sins.” The word “fume” has a double meaning: Napoleon is smoking a pipe and fuming with anger. 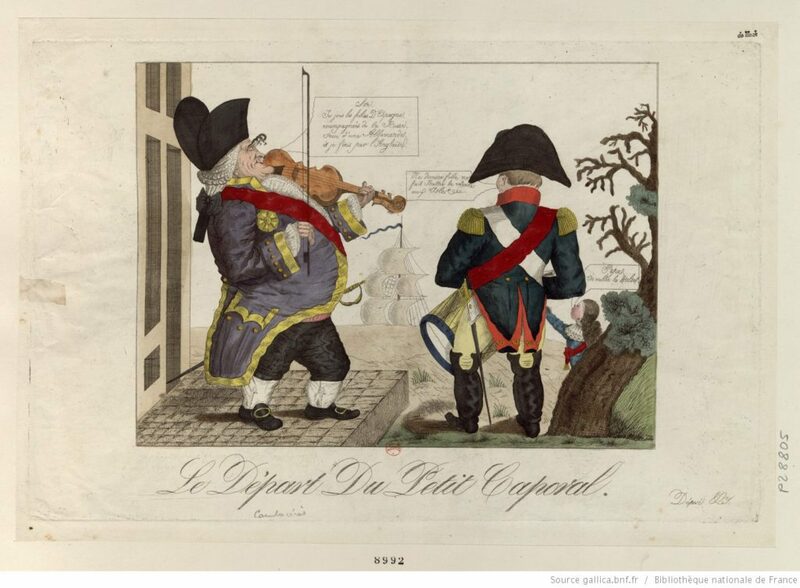 The paper in his hand says “Mes dernières Reflexions de 1815” (my last reflections of 1815). 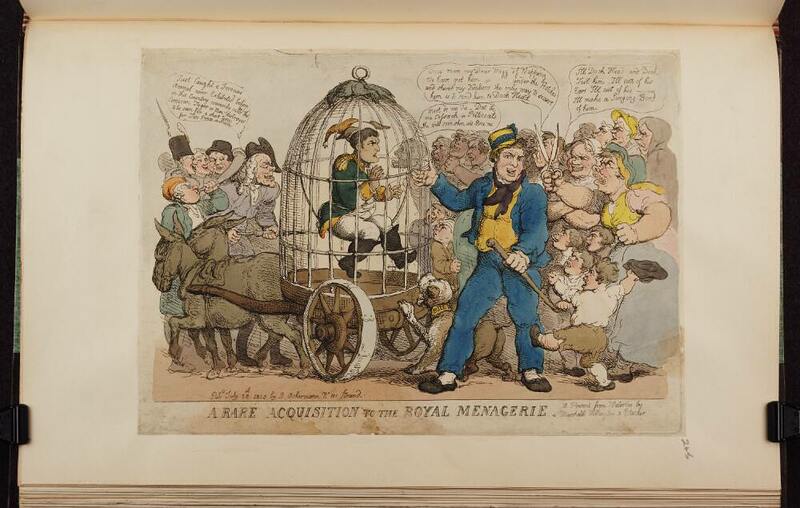 French caricature, September 16, 1815. Tasteless beyond description, these caricatures. A document to the small-mindedness of the prevailing mentality on the British Isles of that period. 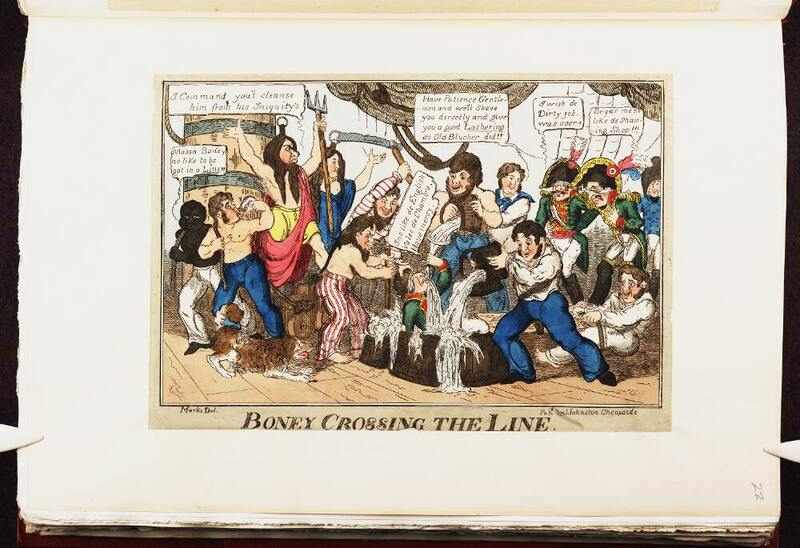 The caricaturists would have done better to look at the social conditions then rampant on their island and some of the perfidy of their politicians and the other reigning heads of government in Europe at that time. 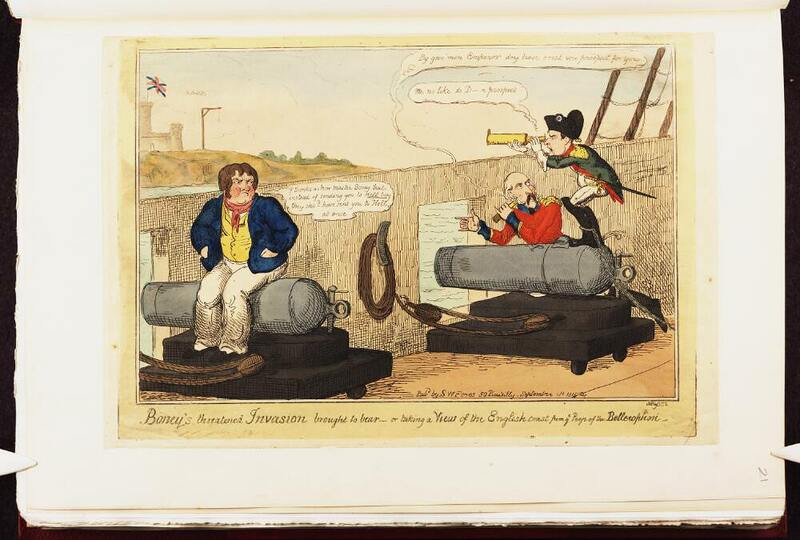 The Brits really did enjoy poking fun at Napoleon, especially when he was down. 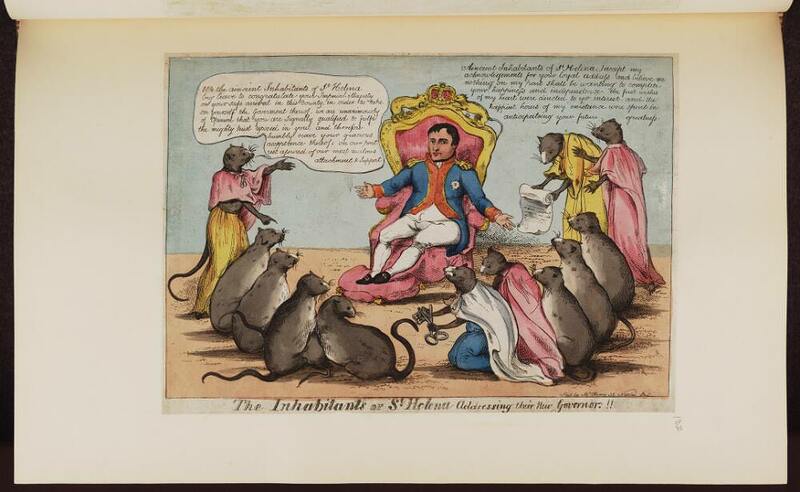 Fortunately, the caricaturists tended to be equally happy taking aim at their own leaders. 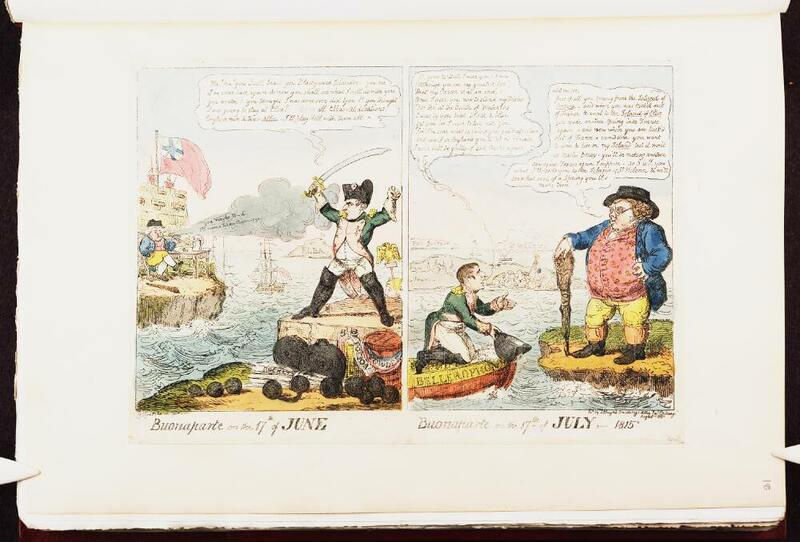 Here are some good caricatures by Cruikshank and others of George IV and his friends: http://brightonmuseums.org.uk/discover/2015/02/26/george-iv-and-his-friends/. Thanks for the link. 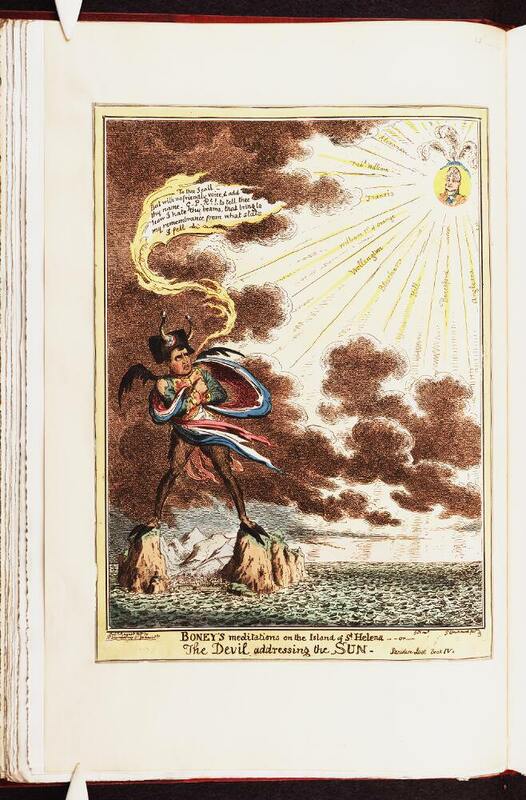 Yes, I know, Gillray and Cruikshank also did a lot of other caricatures on prominent people and also a lot of caricatures on the British “high-society” habits in the late 18th century. Particularly the drinking habits. Reading the captions of those tasteless cartoons was always the highlight of history at school. Thanks for posting them, and transcribing the words. My pleasure, Michael. Glad you enjoyed the post. Brilliant post. Amusing and interesting. Thanks, Christoph. Glad you liked it. Although we may either enjoy or dislike these cartoons today, we should look at them through contemporary eyes and not just our own. Good point, Geoff. 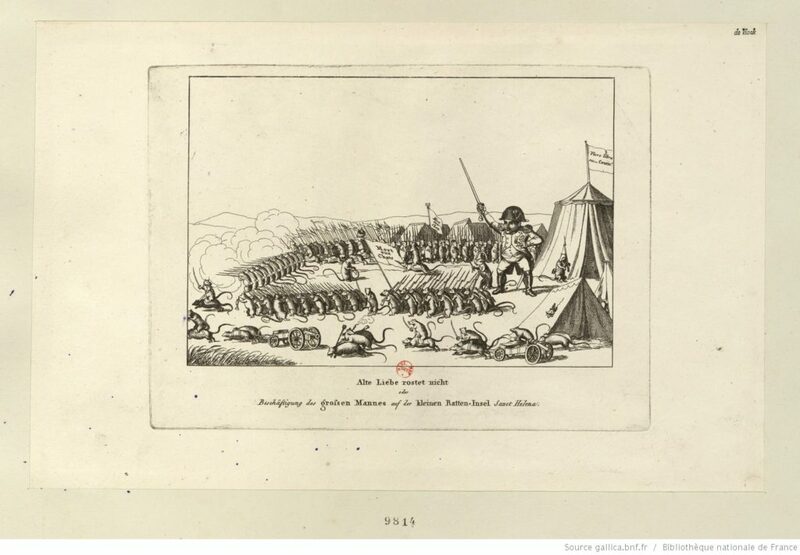 I think the victors were elated at the end of the Napoleonic Wars and happy to do some gloating. 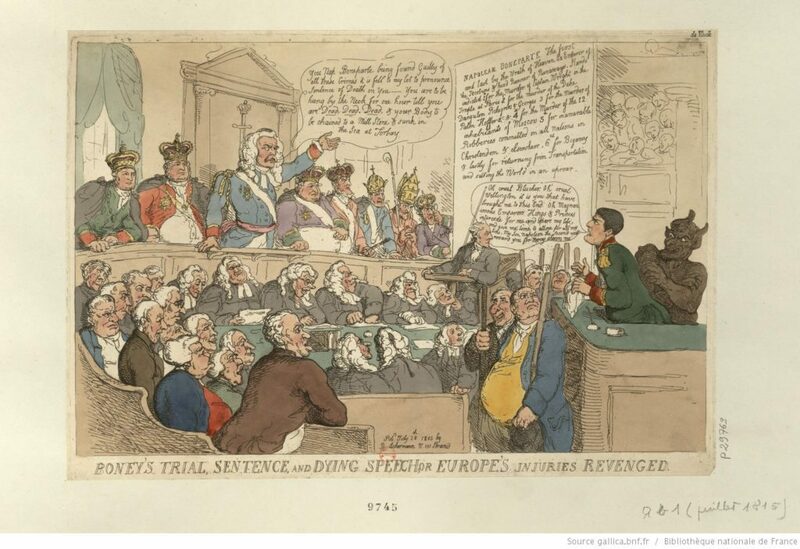 Has anyone seen VERY LARGE pictorial Napoleonic caricatures – two scenes side by side per page about 2 1/2′ x 6′ wide like I’ve got? I haven’t seen any this large. 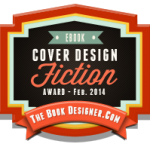 Maybe some other readers have. Am doom’d, with cheese, to bait a rusty hook! To use it now for rats that won’t be taken?